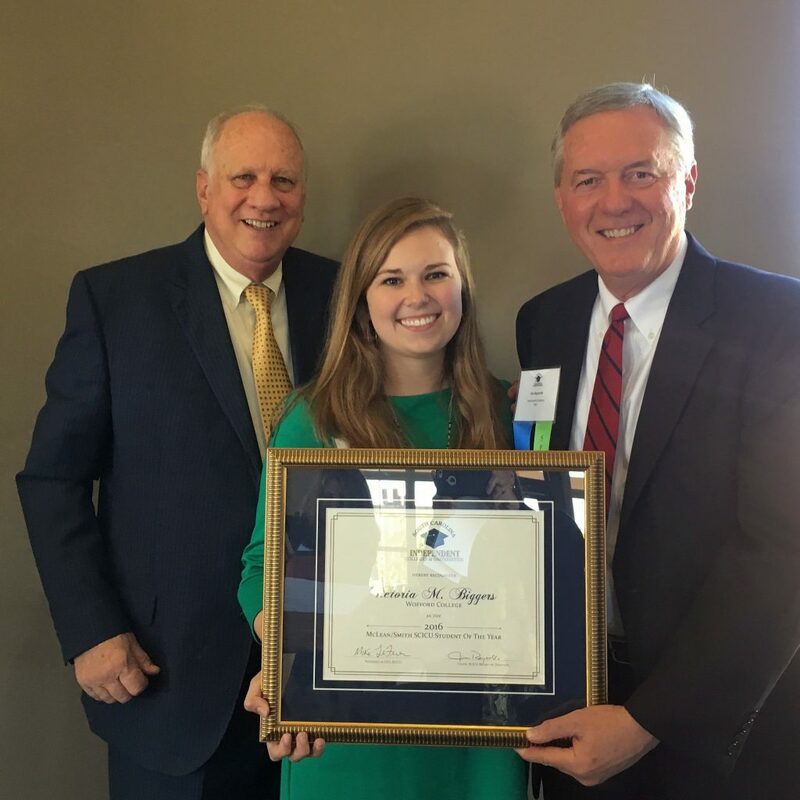 COLUMBIA, SC — Victoria Biggers, a senior at Wofford College, was recognized at the October 12 Board meeting as the 2016 the McLean-Smith SCICU Student of the Year. This award also includes a $3,000 scholarship. Biggers, a finance and economics double major, was honored for her significant contributions to and involvement in campus life at Wofford. Her business experience at Wofford includes establishing Wee Celebrations, a children’s party service. Biggers was assisted in this development venture by The Space, Wofford’s full-service center for professional development and entrepreneurship. The Impact and Launch Competition awarded Biggers with a $5,000 prize for buisness materials and co-working space at the Iron Yard entrepreneurship incubator. Biggers’ other campus involvement may be viewed in the biography posted here.